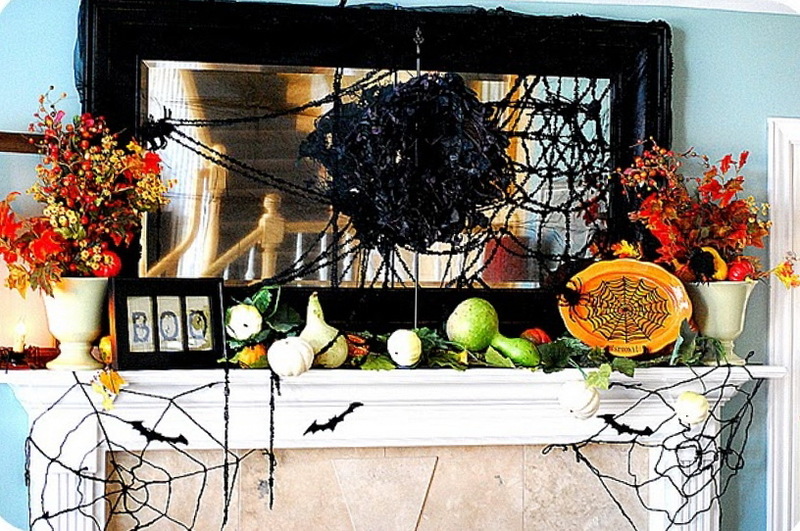 In the Halloween do not forget to decorate the fireplace is beautiful and interesting, because it is a place that is going through the evil spirits, and it can and should be protected from them. We have given you 10 ideas that will help you make the right choice. 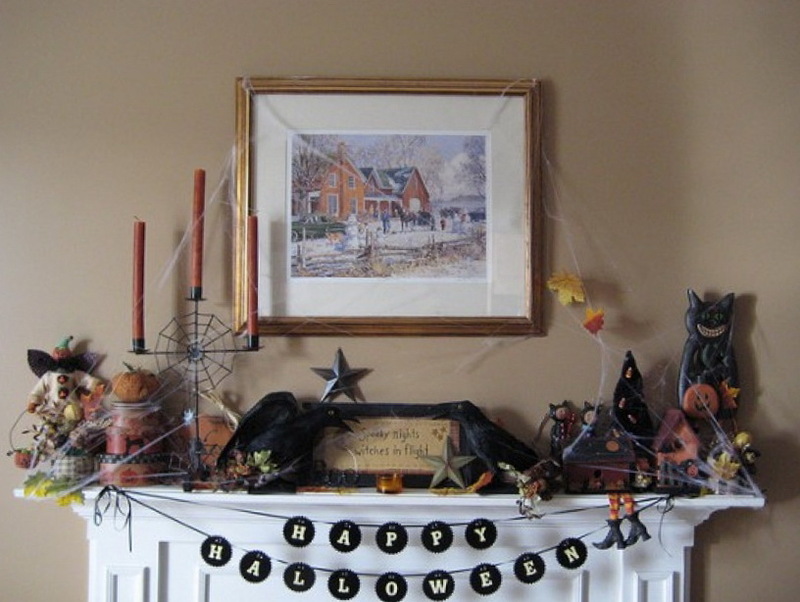 On the tabletop fireplaces can be expanded as artificial and natural pumpkin, place the vase in autumn leaves with berries. 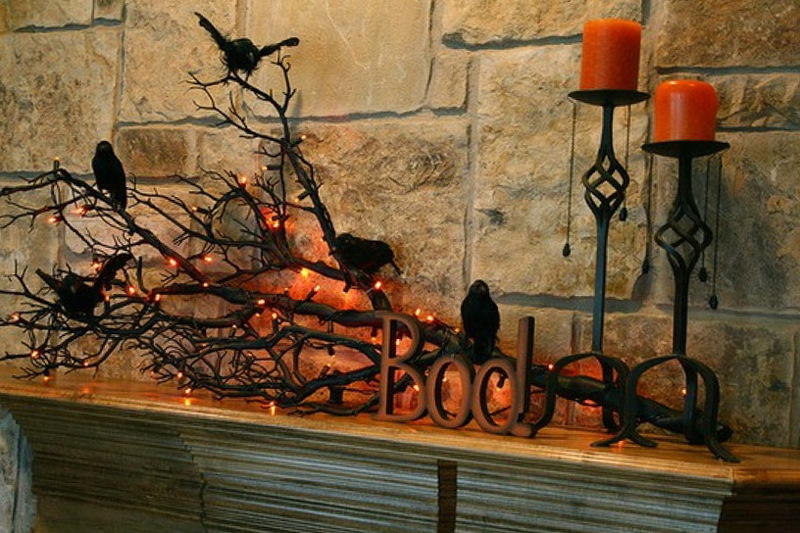 Good idea to put on the fireplace dry twigs, and plant artificial crows, place candles. 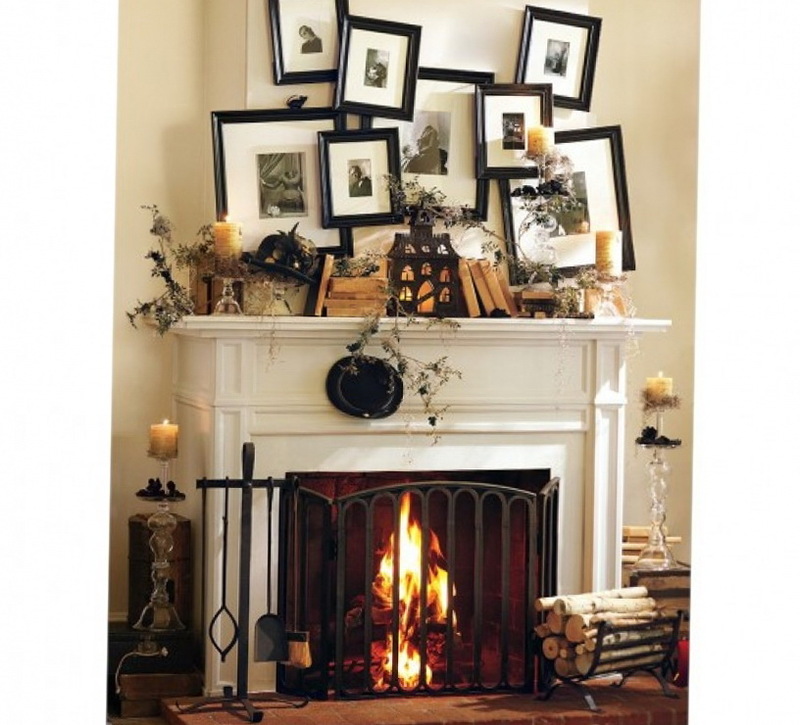 A fireplace can be decorated with beautiful patterns and carved crafts in black, scatter a beautiful book. 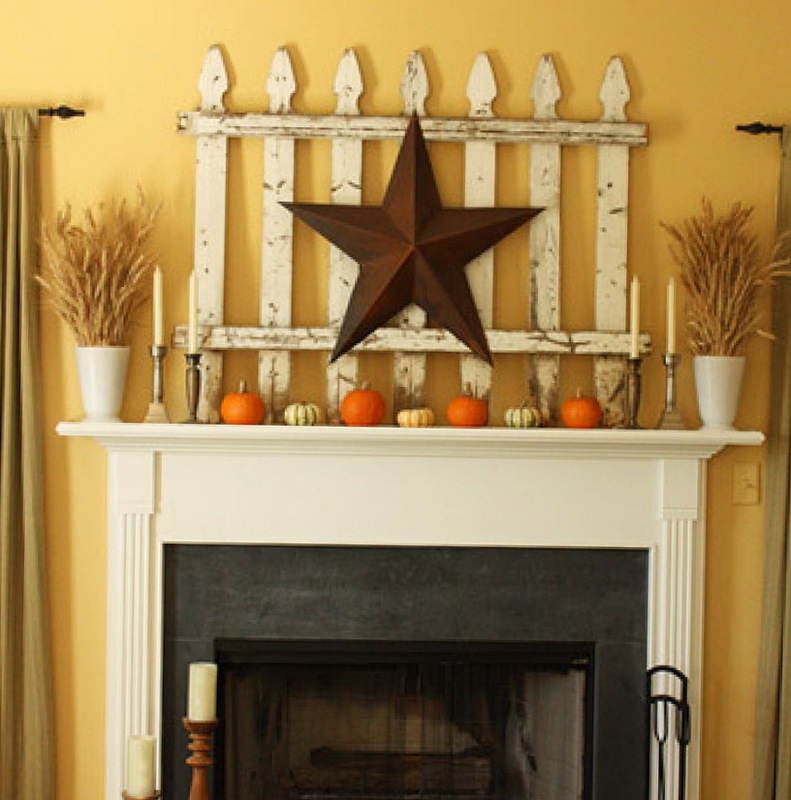 A fireplace can be decorated with a small snippet of an old wooden fence and place pumpkins. 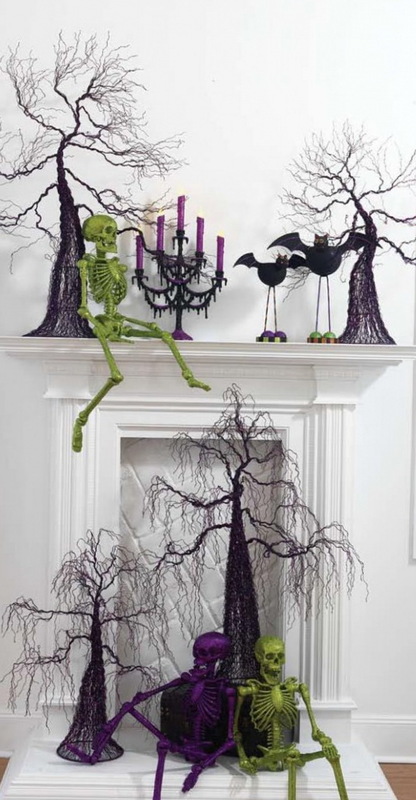 At the fireplace you can hang a beautiful garland that says about the holiday, plant beautiful dolls in the form of witches and crows. 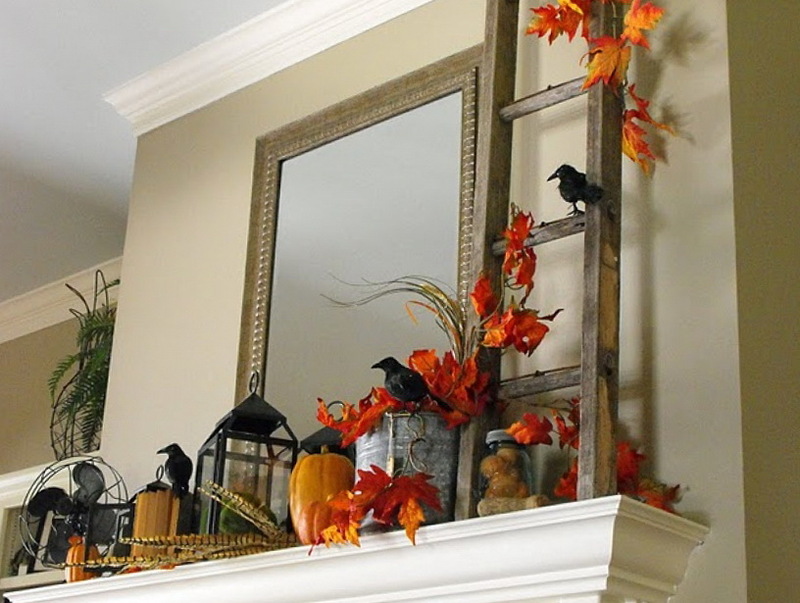 Stairs to loft a good option to decorate a fireplace, it is possible to plant a raven, of course artificial and decorate beautiful candle holders. 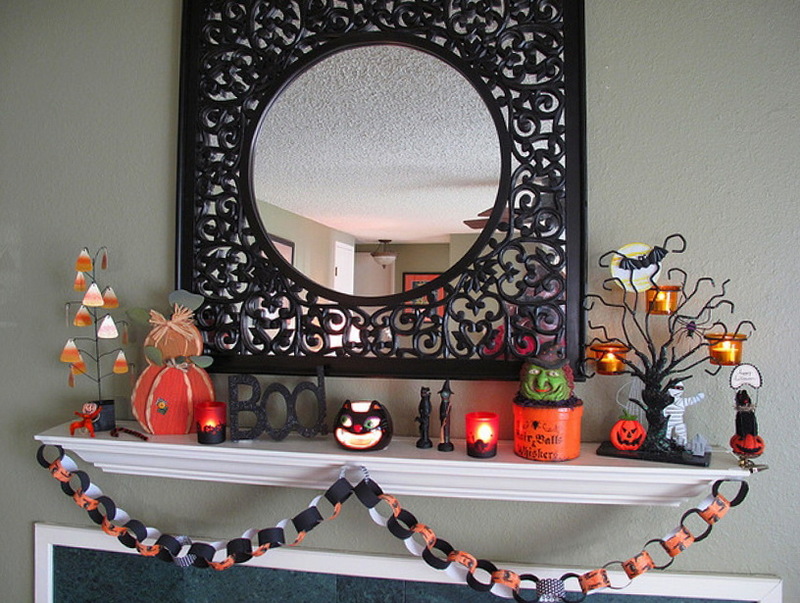 You can also make a beautiful garland, put a small tree with beautiful candlesticks, place the pumpkin variety of different materials. 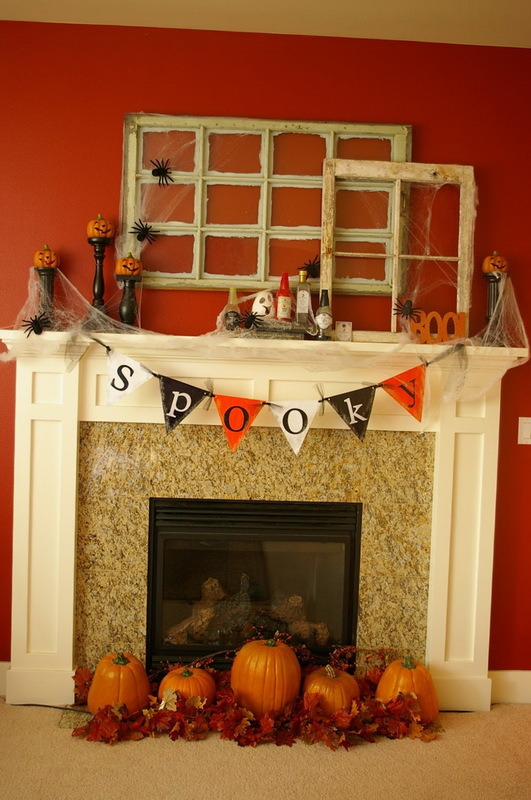 Fireplace can be decorated with beautiful old window frames, is also relevant to fasten an artificial cobweb spiders and hang scary. 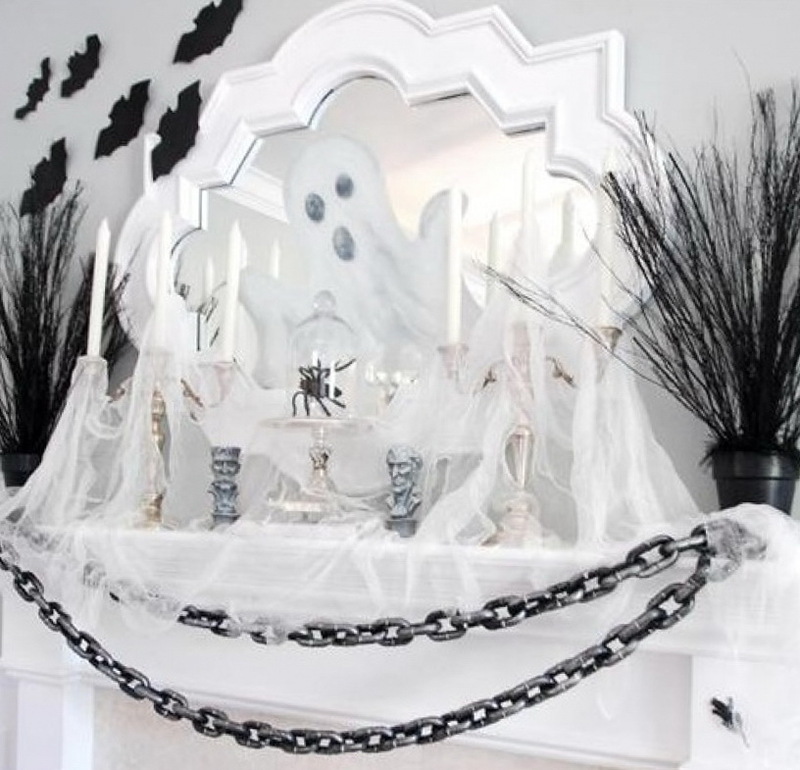 Also, you can decorate your fireplace a beautiful fireplace in black and white, for example, make the cast, and place the beautiful candles, spiders hang, and hang a large chain.